On 10 January 2019, the Supervisory Board of RB Rail AS elected Karolis Sankovski as its Chairperson and Riia Sillave and Edvīns Bērziņš as Vice-Chairpersons. According to the Shareholders’ Agreement and the Statutes the Supervisory Board, the Chairperson and two Vice-Chairpersons are elected on an annual rotation basis. The Shareholder Agreement also stipulates that the Supervisory Board each year is chaired by a representative of a different member state of the joint venture on a rotating basis. In 2019 the country holding the presidency is Lithuania. The Supervisory Board is comprised of six members – two members nominated by each shareholder for the period of three years. The members from Estonia are Anti Moppel, Ministerial Counsellor for Transport and Logistics at the Ministry of Economic Affairs and Communications of Estonia and Riia Sillave, CEO for Rail Baltic Estonia. From Latvia – Edvīns Bērziņš, Chairman of the Board at SJSC Latvijas Dzelzceļš and Vineta Rudzīte, Deputy Legal Director on administrative issues at SJSC Latvijas Dzelzceļš. 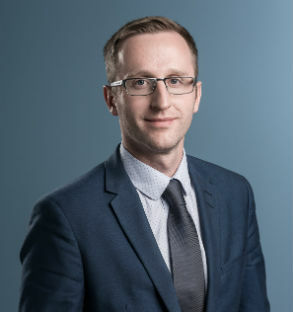 From Lithuania – Karolis Sankovski, Chief Executive Officer of Rail Baltica Statyba and Director of Railway Infrastructure Directorate at AB Lietuvos Geležinkeliai and Romas Švedas, Chairman of the Board at AB Lietuvos Geležinkeliai.